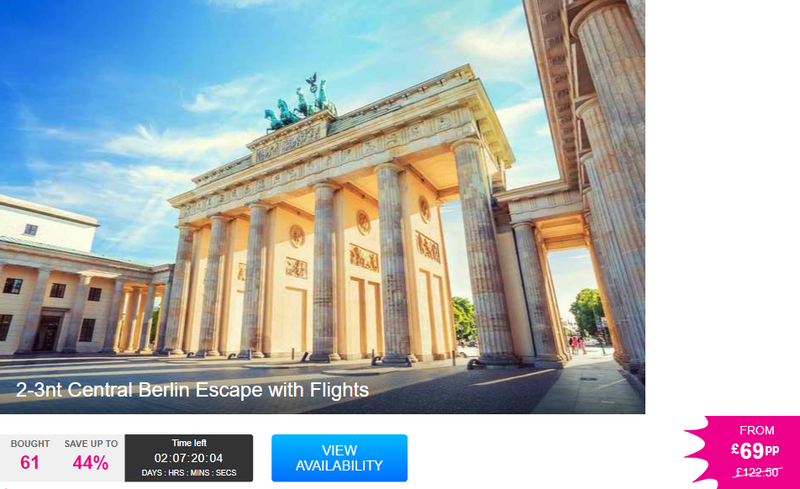 Check out this great deal to Berlin with flights for as little as £69 each over at Wowcher. 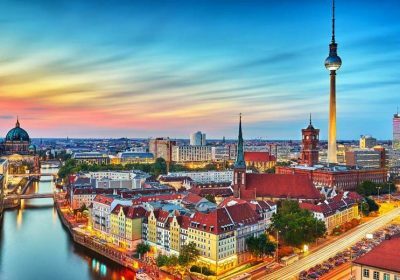 What’s included: A two or three-night Berlin getaway with return flights. Departure airports: Gatwick, Luton, Stansted, Manchester and Edinburgh. Accommodation: Unwind in a comfortable double guestroom at the Comfort Hotel Lichtenberg or Ivbergs Hotel Berlin Messe. When: Valid for travel on selected dates until 30th September 2018. Our Promise: Minimum of 40 hours in your destination for any two-night break. Minimum of 60 hours in your destination for any three-night break. Once you’ve landed in Germany’s vibrant capital, you’ll check in to either Ivbergs Hotel Berlin Messeor Comfort Hotel Lichtenberg, both of which occupy a prime location within close proximity to transport links and all the main attractions. The Comfort Hotel Lichtenberg is refreshingly light and boasts a chic décor with snazzy pops of colour. The attractive furnishings continue into the stylish guestrooms which come complete state-of-the-art modern sensibilities. Downstairs there’s also a contemporary buffet style restaurant and even a bowling alley! Alternatively, the Ivbergs Hotel Berlin Messe proudly features the original 20th century décor and offers guests spacious guestrooms boasting plush furnishings, a modern en-suite, complimentary toiletries, a flat-screen TV and high speed WIFI, obviously. You’ll also find an antique bar and a cosy restaurant providing guests with buffet style dinner and an a la carte menu. Berlin in known for its awe-inspiring 13th century architecture, its post-war modernisms and it’s turbulent 20th century history. Camera at the ready, pop your culture hat on spend your days discovering the city’s sites, including, of course, the sobering Holocaust Memorial and the now-colourful Berlin Wall. Head over to the Brandenburg Gate for another dose of history, as well as the Reichstag, which also offers a glass-domed viewing chamber from which you can admire the neighbouring areas. If you really want a view of the city in its entirety though, take the trip up the Fernsehturm, which stands at 369 metres in height with its antenna! On the more unique side of the city is the Liquidrom, a stunning angular edifice which allows moonlight to enter the rooms and illuminate the pools below. If you lie back in the salt waters of the main pool, you’ll relax to the sounds of both classical and electronic music, resulting in a truly unique experience. For those looking to stay outdoors, why not head to Badeschiff on the River Spree, a riverside beach bar which also houses heated swimming pools and even saunas during the winter! Come nightfall, lose yourself to the heady hedonism of Berghain bar, Berlin’s most infamous and exclusive clubbing complex. With a host of quality DJs playing the biggest tunes, Berlin has to be the cornerstone of contemporary European nightlife. So what are you waiting for? You could definitely do a lot wurst!